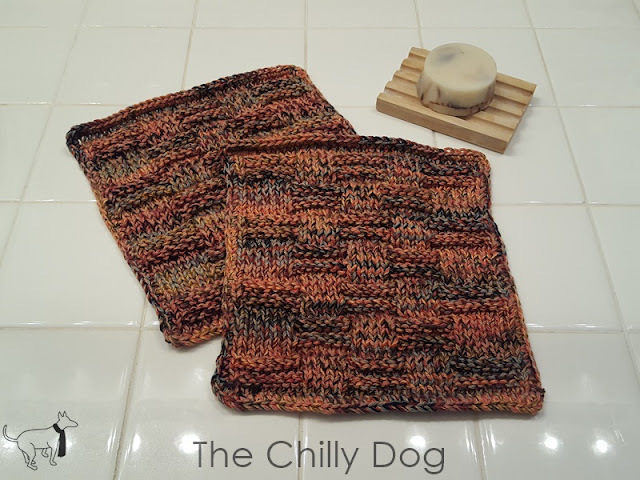 Whether they are used in the kitchen or bathroom, I think hand knit washcloths make great hostess gifts, especially during the holiday season. Washcloths are quick and easy to knit and they are a relatively inexpensive project. Knit washcloths are also nice projects for beginner knitters that are still mastering basic stitches. With Thanksgiving just a couple days away, I grabbed some yummy Plymouth Yarn Fantasy Naturale from my yarn stash and set to work making a couple of washcloths. 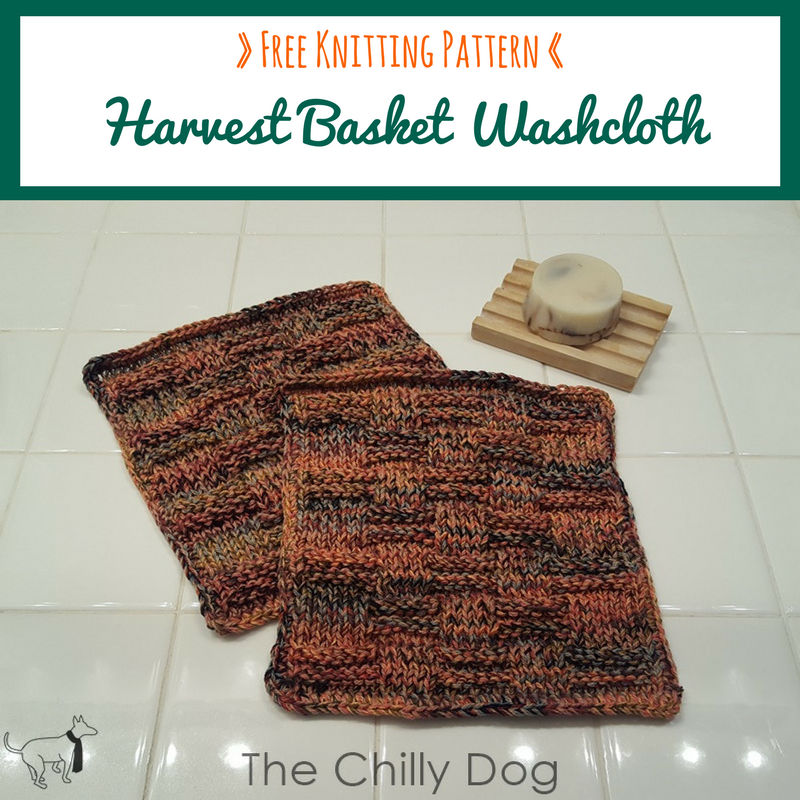 If you are not a loose knitter, you can likely make two washcloths with a single hank using this pattern, but you won't have any leftovers. If you feel extra fancy and know how to crochet, I recommend adding a single crochet border around your washcloth, but it is not required. To make neat even edges, the first stitch of every row is slipped purlwise with the yarn held on the WS of your work. Row 1 (RS): Sl1, k34. Row 2 (WS): Sl1, p 34. Row 3: Sl1, k1, [p7, k5] twice, p7, k2. Row 4: Sl1, p1 [k7, p5] twice, k7, p2. Row 6: Sl1, p 34. Row 7: Sl1, k1, [p7, k5] twice, p7, k2. Row 8: Sl1, p1 [k7, p5] twice, k7, p2. Row 10: Sl1, p 34. Row 11: Sl1, k7, p7, k5, p7, k8. Row 12: Sl1, p7, k7, p5, k7, p8. Row 14: Sl1, p 34. Row 15: Sl1, k7, p7, k5, p7, k8. Row 16: Sl1, p7, k7, p5, k7, p8. Row 17-48: Repeat Row 1-16 twice. Row 50: Sl1, p 34. Row 51: Sl1, k1, [p7, k5] twice, p7, k2. Row 52: Sl1, p1 [k7, p5] twice, k7, p2. Row 54: Sl1, p 34. Row 55: Sl1, k1, [p7, k5] twice, p7, k2. Row 56: Sl1, p1 [k7, p5] twice, k7, p2. Free Knitting Pattern - This Harvest washcloth is a simple beginner project and makes a great hostess gift.